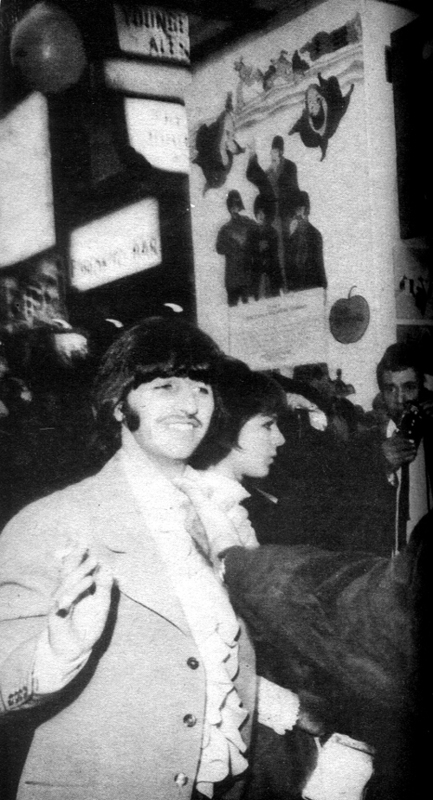 Ringo at the Yellow Submarine premiere. 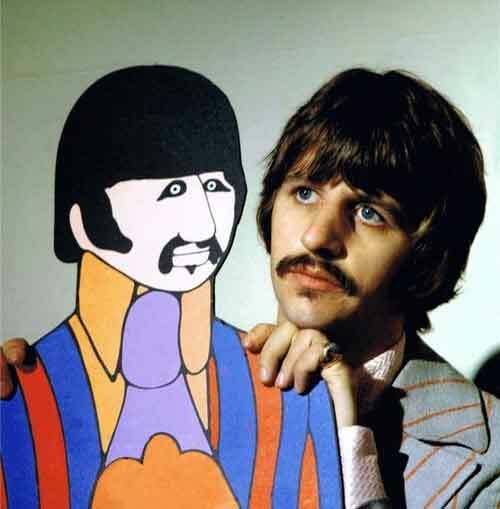 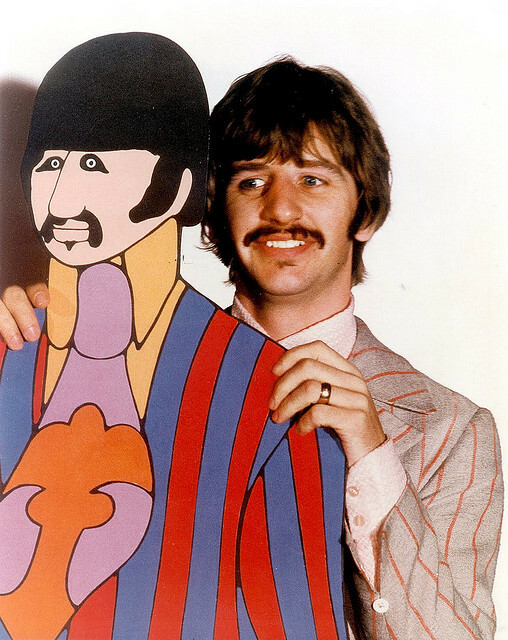 Ringo poses with his Yellow Submarine cardboard cutout counterpart. 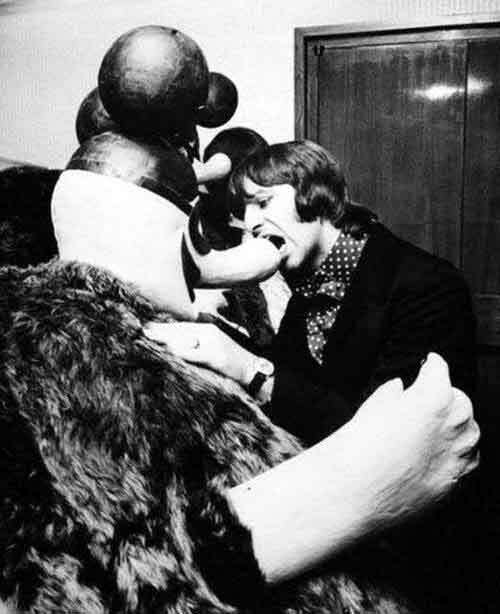 Ringo bites the nose of a Blue Meanie.